It’s no secret that when it comes to social media there quite a few choices for building your healing business. So while marketing your practice can work on Facebook, Instagram, YouTube, and Twitter, which one do you choose? With so many options it is important to note that you don’t have to be on every platform that exists. You can choose one or two and become an expert in digital marketing on each of those platforms. The trick is to be on the platforms that your clients frequent. It’s useless to spend time on social sites that don’t work for the kind of content you offer. The same is true for sites that don’t attract people who are socializing about the services, books or products like what you sell. With that said, when you want to reach a significant amount people, Instagram can offer quite the audience with approximately 500 million people logging in every day. But, in truth, what’s so great about Instagram? When anyone looks at Instagram they see it’s primarily a visual platform. There are pictures after pictures of the people that use the platform, inspirational quotes, and pictures of products folks are selling. Where people get it wrong is that most people think that Instagram is only conducive to selling a physical product and that sells the platform short. When it comes to your service-based business you can effectively use Instagram for your digital marketing needs and leverage the millions of people who are scrolling the feed daily. For service-based or healing businesses the apprehension usually lies in content and visuals. What do you post on Instagram to build your audience and grow your business? Once you start to dig into Instagram you will find that the overarching themes are building trust and providing value, both of which are especially important when you are a talking about building a therapy or coaching practice. Instagram is largely a visual platform. Unlike Facebook or Twitter where you find images alongside articles/blogs, videos, short posts or texts, on Instagram the main form of content is images. Here we mean photos and photos only. The other unique feature is that most people interface with Instagram from their phone. So while you can access Instagram from your website, the platform was fundamentally designed to work using the images you take from the camera on your phone. Starting with that, it’s important to think of Instagram as just another way to communicate with your audience albeit through a visual experience vs a more traditional blog or written one. To make it work, your main focus should simply be authenticity. Being “you” in your feed and representing your business in the most honest, visually truthful way you can. The goal of social media is to create connections between you and your audience. You want to communicate what your business is about and provide value to the reader in a way that fosters trust with them. People most often follow brands that provide some value to their lives. So to win in that department, you must provide value to your follower. Below, we’ll show you how to do just that. Can Instagram Posts Promote Or Sell Your Services? The answer is yes, but not always in the traditional way you’re used to. Because your posts are led by images, the promotion really begins with what’s on the image, what’s in the caption and subsequent comments. Beneath every image you post are several things. That is followed by comments about the image shared + hashtags (not sure what a hashtag is read this) indicating which boards or pages it should also be attached to. 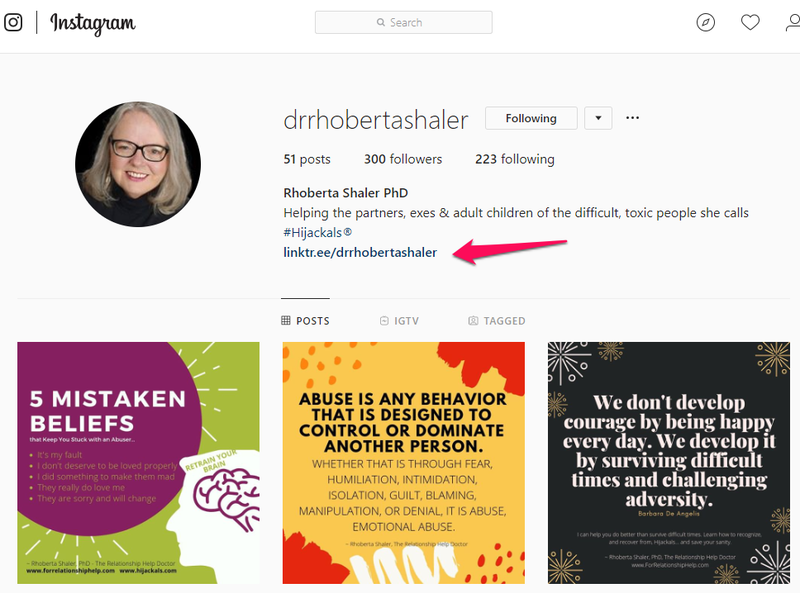 See Dr. Rhoberta Shaler’s feed below as an example. If you’re a regular blogger, the real difference between other social platforms and Instagram is that here, you can’t include a link in the comments. The one link you can have on Instagram is reserved for your bio/profile as seen below. But that doesn’t mean that you can’t post an image from an article and hope for clicks. 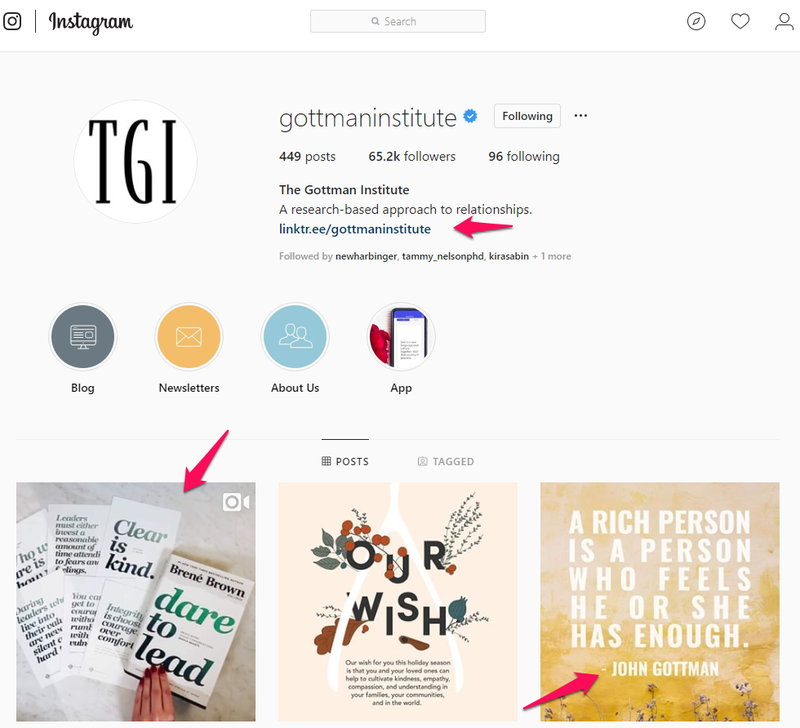 With that said, your goal on Instagram is to provide helpful tips, hacks or information in your contents that will help your clients solve their problems. You may be thinking, “but I don’t want to give away my best information for free”. Now hear this: in reality, sharing tips to attract clients will not hurt your business in the long run. Everyone’s problems are different and you grow your business by helping your clients apply the tips you shared in the specific context of their own lives. Topics that make for great posts include sharing memes or images from an article that teaches tips, offers advice or tools for how to heal or manage a particular issue. Regardless of your branded topics, everything can be presented visually and then lead potential clients to your website to learn more. Social media posts here are meant to whet the appetite for learning more, and that learning has to happen either on your website or with you. How do you inspire your readers to click over to your website? It starts with great visuals and branding that lead the right people to you. Instagram is largely a visual platform when people are scrolling through it is the eye-catching attractive photos that capture their attention. When you don’t have a physical product to sell or an item to take photos of, the idea of visuals can be daunting when you’re looking at Instagram from the perspective of a service-based business. What kind of photos and visuals can you use to attract a following and perhaps potential clients? The good thing about the Internet is that there are numerous resources you can use to find visuals that are appropriate for your business. There quite a few sites that offer photos that you can use free of charge. Each of these sites has thousands upon thousands of photos that you can use to create a visually appealing Instagram account. When we’re talking about the visual appeal in relation to your Instagram account, branding becomes especially important because you only have a few seconds to capture someone’s attention and tell the story. The right branding is critical to accomplishing that. In a previous post, we discussed what branding is: “…branding is made up of the emotional, intellectual, and factual parts of the business that tell consumers what your practice is about.” The overarching theme with branding is to create trust. Branding is perception, it is intangible and in the case of Instagram, it is highly visual. How can you brand your images? By adding a small logo, URL or your business name to your images. This should be small enough to not interfere with the message in the photo but large enough to be recognizable in your font, colors, and word choices. Here less is more, but you need to get it right. Pick one thing to brand your images with and don’t overdo it with too much copy, colors or distraction. The main idea here is that with Instagram’s quickly moving news feed, you want people to know that it belongs to you and your business as soon as they look at a photo. Instagram is a wonderful platform for quick bits of inspiration and this can attract a plethora of new followers. A great way to motivate or inspire people quickly is by posting motivational quotes on your feed. When content like this is set up in an attractive way it can garner attention and ensure likes, comments and ideally, return visits to your page. In this case, posting motivational contents feeds a need in the reader. Perhaps they’re looking to get through a lazy Monday morning, heal a broken heart, let go of a particular worry or make it through a daunting afternoon. A little inspirational pick me up can work wonders for what they need at that moment. Moreover, the reader may appreciate what you provided for them, this can very well lead them to like and return to your page. Keep in mind that quotes don’t have to come from famous or big-named people. Your quotes can be used as well. Think of these as sayings or advice that you often share with clients. Quips or reminders about how to have a better day that you often share make for great inspirational quotes. Very often we suggest that your quotes be a mix of famous sayings PLUS your own advice. This mixture of ideas up levels your brand and ties your insight/advice to the wisdom offered by more famous voices. When done well, your brand benefits from the connection and the trust your readers have with your brand deepens. Another way to connect with your audience is by using humor. More often than not people scroll through social media or hit the Internet to take a little break from reality. Humorous content Is something that everyone can relate to. The humor that you post does not necessarily have to be industry-specific or directly relate to your brand or service, but you don’t want it to be too off-color or out of alignment with your higher values. That said, ideally, you should post humorous content that has the broadest appeal so you connect with the most number readers. Think about what is universally funny; jokes, images or sayings that are as humorous today as they were years ago. A look behind the scenes into your office perhaps or into your daily life is a great way to connect with your audience by showing them the real you. Very often when it comes to platforms like Instagram people only see the touched up final product. The truth is that there is no such thing as perfection. We’re all human and seeing that side of another person can do a lot to foster connections. Instagram stories (aka Instagram videos) hit the ground running during their introduction in 2016, and they continue to be wildly successful today. So much so that going into 2019, Instagram stories are one of the digital marketing trends to watch. 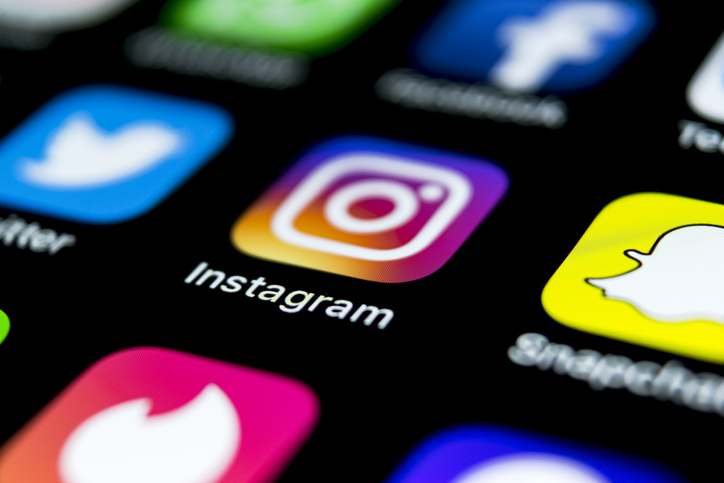 If you are brainstorming new ways to connect with your audience, Instagram stories should be on your shortlist. Speaking of short…coming in at 15 seconds, IG stories can go a long way toward showing your audience your personality — without oversharing. The clear, concise details of who you are and what you bring to the table. Why you are, in fact, an expert in your field and why it would behoove them to call upon your services. Perhaps most importantly this is where they can see glimpses of your personality. And finally, it’s your statement(s) of what they can expect to learn or gain from a connection with you. This is where you begin your engagement with your audience and start to build trust with them. It’s short; no more than a few sentences at most. It also makes smart usages of things like credentials (only your most valuable one needs to be stated), time in business, something notable about why you’re the expert you claim to be and finally, what your brand is all about. It is important to remember that when you’re trying to express your personality and engage with your audience, you must be sure to sound conversational and warm. Your caption should not sound cold, inflexible, unrelatable or salesy. Every caption should also include a call to action. This is where you ask the reader to do something. In the world of Instagram, there are “small ask” and “big asks”. “Small asks” are where are you invite the reader to simply engage with the post. This could be in the form of likes, comments or shares. Asks of this kind greatly benefits your feed because Instagram likes to see engagement with any post whether it’s in the form of likes comments or shares. “Big asks” encourage your reader to do something more substantial like clicking the link to a blog post, signing up for an email, or visiting your website. The good news is that 75% of users take some sort of action when reading posts in their feeds, so if all things are equal, you have a good chance of getting some form of engagement from your readers each time you post. An important nuance to Instagram is how many links you actually have to work with. Unlike other platforms for digital marketing, Instagram allows for only ONE clickable link at a time and that link is only found in your profile. That said, each time you post something new on your Instagram page, and you make a big ask of your reader, you must change the link in your profile. If you do not change the link in your profile with each new post, users will consistently click on an old link and that runs counterintuitive to your goals. The thing to understand with engagement on Instagram is that it is a tiered process. First, you want to post content, second, you want to ask your audience to do something small such as engage with that content and third, you want to ask your audience to do something big which is actually visiting your website. Once you have the formula in place, practicing it is easy. And one other thing, it’s always advisable to check out other profiles. Find people you trust and admire and see what they are doing on Instagram, often you can find a great role model right where you want to be. 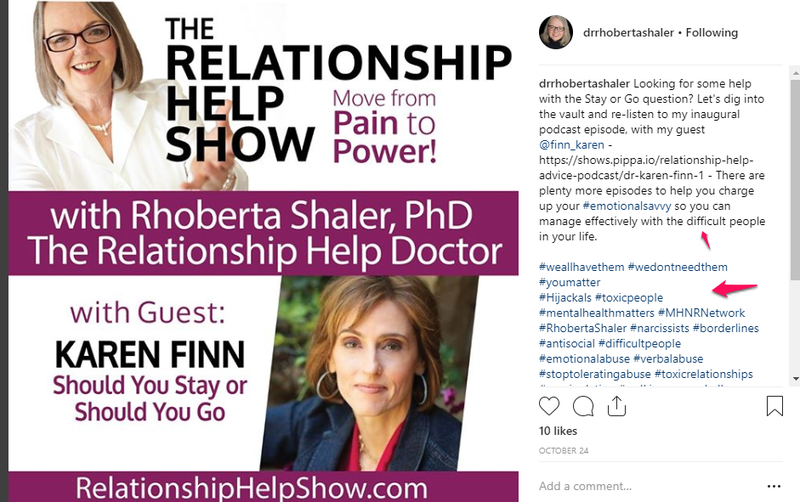 In our experience, many therapists and life coaches with healing businesses benefit from a well-crafted Instagram account. It can be a great addition to your online presence and draw in the clients you’ve been working hard to find online that have eluded you. If Instagram feels right, but figuring it all out feels a bit much to you, please subscribe to our newsletter list (located in the upper right-hand column on this page) or reach out to us directly to schedule a call and see how we can support you in your digital marketing and social media efforts.